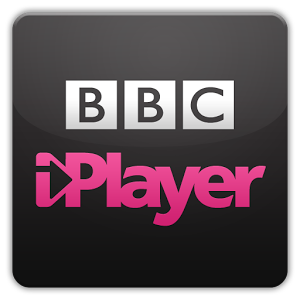 For our readers across the pond, BBC iPlayer takes some of the network's shows and provides them for easy viewing on Android devices. What about the TV? The latest version of the app has that covered too. This would be a surprise, but we already spilled the beans on this release a few days ago. We knew this update was to coincide with the launch of Chromecasts in the UK on March 19th, and now it's here. A reader has reported to us that casting may not work on imported Chromecasts until they've first been factory reset. This will then change them from "US" to "GB." Afterwards, the cast button should appear. We've added support for Chromecast! 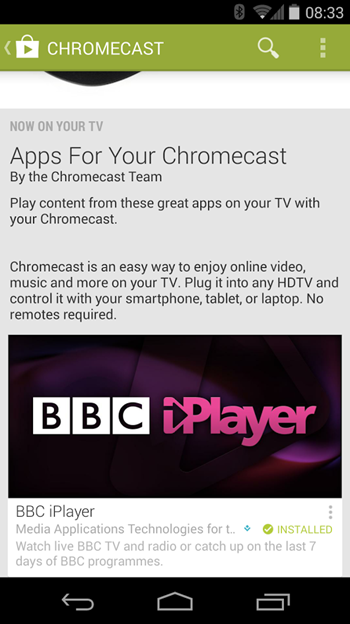 Connecting a Chromecast HDMI dongle to your television will allow you to send, or ‘cast’, a programme from BBC iPlayer on your mobile to your TV. Sit back and enjoy your favourite BBC programmes on the big screen. We've also included a number of bug fixes. Thanks, James Kimbley and Andrew Jones-McGuire!